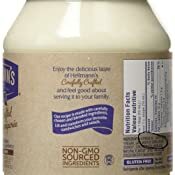 Hellmann's Vegan is made with non-GMO sourced ingredients. Free from cholesterol and eggs. Hellmann's Vegan Dressing and Sandwich Spread is the ideal condiment for sandwiches, salads and wraps. Rich in Omega 3-ALA. Gluten Free and Kosher. "So many of the things enjoyed most in life are simple and pure, and that includes tea. With real tea leaves and the highest quality ingredients, Pure Leaf flavoured hot tea is thoughtfully picked at the peak of freshness and purposefully crafted to deliver a tea experience that is both uncompromised and uncomplicated. Pure Leaf tea leaves are selected from the finest Rainforest Alliance Certified tea estates from around the world. They are simply picked, rolled, and crafted in perfect balance with only the finest quality ingredients to deliver a delicious tea. Most of our blends use single origin teas, each with their own unique features and flavour, characteristic of the geographies they come from. Pure Leaf Gunpowder Green tea gets its name from the shape of the Indonesian tea leaves – tightly rolled into tiny pellets that when steeped, unfurl into long, luscious leaves. And, since it's over 99% water, Pure Leaf Gunpowder Green tea is a healthy hydration choice, because staying hydrated is a part of maintaining general health and well-being! Pure Leaf Gunpowder Green tea - perfect for morning, afternoon or evening. If you like Pure Leaf Gunpowder Green tea try Pure Leaf Green tea with Jasmine. It provides a similar light and refreshing taste. Brewing Instructions: Pour 8 fluid ounces 200 ml of boiling water over 1 tsp of loose tea and steep for 2-3 minutes. Love Pure Leaf loose tea? Don’t keep it to yourself! Leave a review and share a moment with other tea lovers." This stuff is friggin amazing. 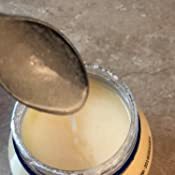 I've been vegan for over a decade and one of the few things I have ever truly missed is Hellmann's mayo. There are like a million vegan mayos these days and most of them straight taste nasty. I'd rather live without mayo than eat that garbage. 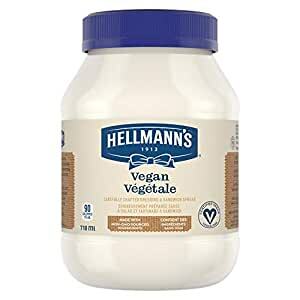 Hellmann's does it again with their vegan mayo. It's been a long time, but this tastes like I remember the original stuff and is cruelty free. There's really no good reason to use anything else. 5.0 out of 5 starsEveryone is going to agree that this should replace regular mayonaisse, it's that good. 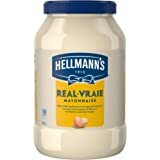 I love mayonnaise, always have eaten Hellmann's regular mayonnaise because that is what I like most (I mean don't even talk about "miracle wh..." to me). As our dietary needs change in the houselhold, we make compromises, and mayonnaise was one of them. Mayonaisse hadn't been in the fridge for a few moths when I came across this product on Amazon, and after a cross-reference and family consult, I was cleared to get the Vegan sandwich spread. What a relief for me that this condiment is so similar in flavour and consistency to whole mayonaisse! It is fantastic, no regrets over not having "real" Hellman's. The bonus was when we hosted a BBQ / tailgate party; I thought I was a rockstar when the yoga contingent of the guest party read "Vegan" and gave me the thumbs up for that, and then the hillbilly faction also wholly endorsed this spread as redneck worthy too. 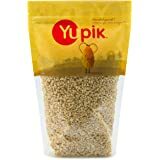 Short answer is this product is now on the subscribe and save program for me, it is that good. 5.0 out of 5 starsLove plant based foods! 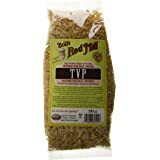 I'm a vegetarian and I try to eat a lot of vegan food so I decided to try this out and I love it. I actually like it better than the original Hellman's as it's lighter and not yellow from the egg yolks in the original. This is all I buy now, an excellent product! I love plant based foods! 5.0 out of 5 starsThe taste is very good. If Helmann's real mayo is a 10, this vegan mayo is a 9! 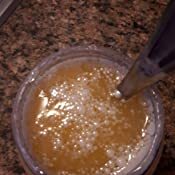 The taste is very similar, just a bit more on the vinegar and less on the egg yolk. In a burger or tomato sandwich very hard to tell them apart. Overall, a good mayo that I will buy again! I purchased due to the rating so I feel obligated to say a few things: size, look, keeping cold = all true. The mouth opening is diffrerent from any other bottle (3 times the size of a contigo bottle). The shape of the cap is such that I have to tilt your head back quite a bit and the volume coming out is higher so at first, I kept choking as I drink. Getting used to it but I may go back to another brand. Tastes like the original, and vegan,... one of those products that you check the label twice because it tastes a little too real. Cannot say enough good things. My coworker chooses this brand simply because of the nutritional information, it is a step healthier than other mayonnaise. I appreciate the company creating a plant based formula that does not exploit animals. I also appreciate the labeling being so easy to tell that it is a vegan product, too often I find myself using an app or going through long ingredient lists. The loud and proud advertising and same great taste earn a top rating! I love the taste of this vegan mayo so I ordered 3 jars at once. It is also Non-GMO which to me is important. I only wish they would make it organic. 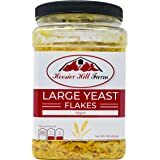 The only problem I have encountered with this product is the last order I ordered and opened my first jar, it tasted a little too vinegary. This is the first time I encountered this issue. I have been eating it but not really enjoying the flavor. I have half a jar left and will try opening another jar to see if the issue is still apparent with that one. For this reason I will give the mayonaise a 3 instead of a 5 like I was going to before this jar. 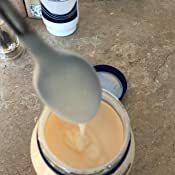 5.0 out of 5 starsCreamier & more delicious than regular Hellmann's! 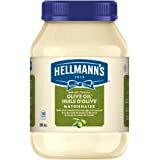 I love Hellmann's regular mayo and wanted to give this one a go since I'm now watching my cholesterol more. Well this was creamier and more delicious than the regular Hellmann's. I was so surprised and wouldn't go back to regular mayonnaise again. I would highly recommend this product!